Thank you to Trinity’s Dean’s Office for generously funding this trip! 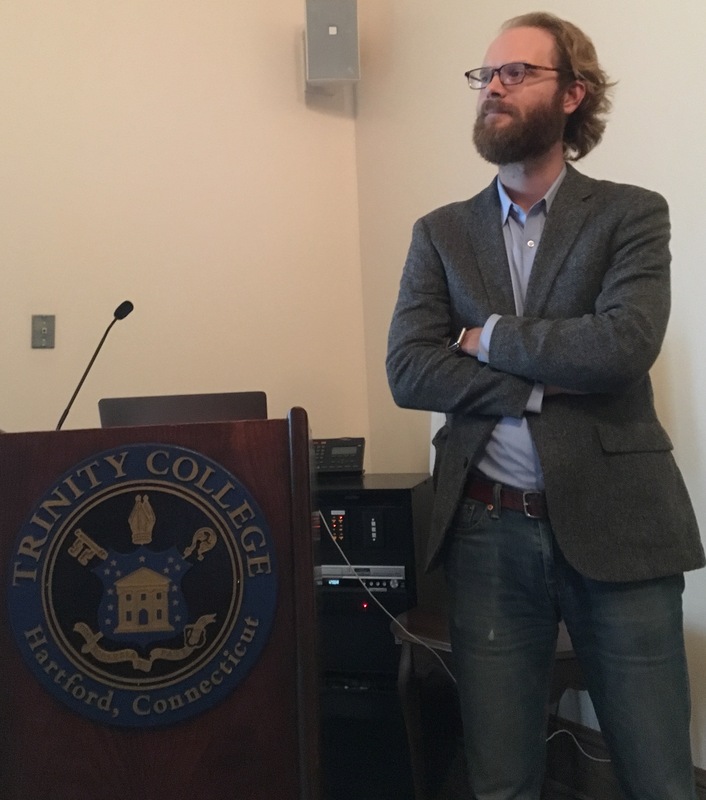 Dr. Emiiy Wilson of the University of Pennsylvania visited Trinity’s campus on March 28 2019 and gave a talk on her translation of Homer’s Odyssey, which was published by W. W. Norton & Company in 2017. 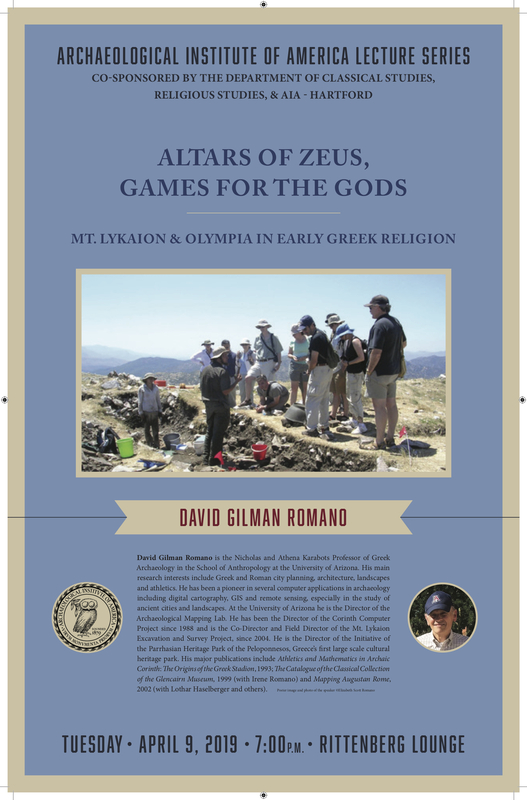 She spoke to us about how she approached the pleasures and challenges of translating the eighth-century BCE Greek epic poem and revealed that her next project is a translation of the other epic poem attributed to Homer, the Iliad! 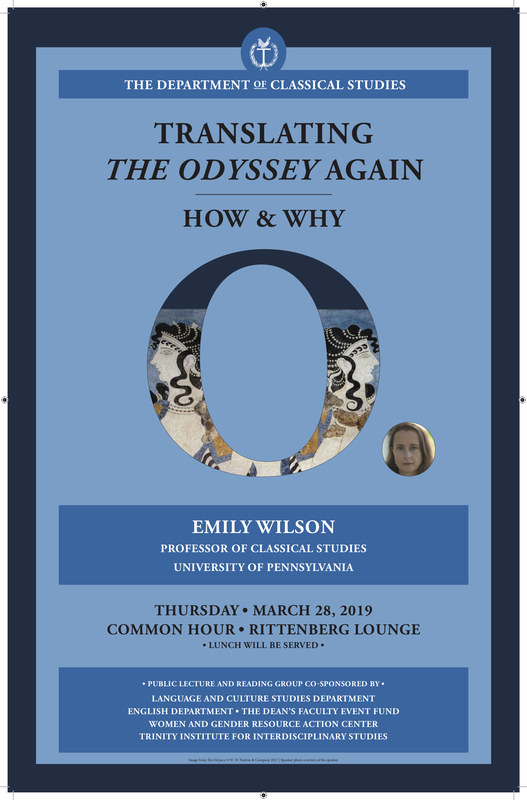 Dr. Martha Risser of Trinity’s department of Classical Studies organized an Odyssey reading group that met several times in the months of February and March to read parts of Wilson’s translation. Dr. Vincent Tomasso (Classical Studies), Dr. Chloe Wheatley (English), Dr. Meredith Safran (Classical Studies), Dr. Lucy Fenriss (English), and Mark Hughes took turns reading from the translation. 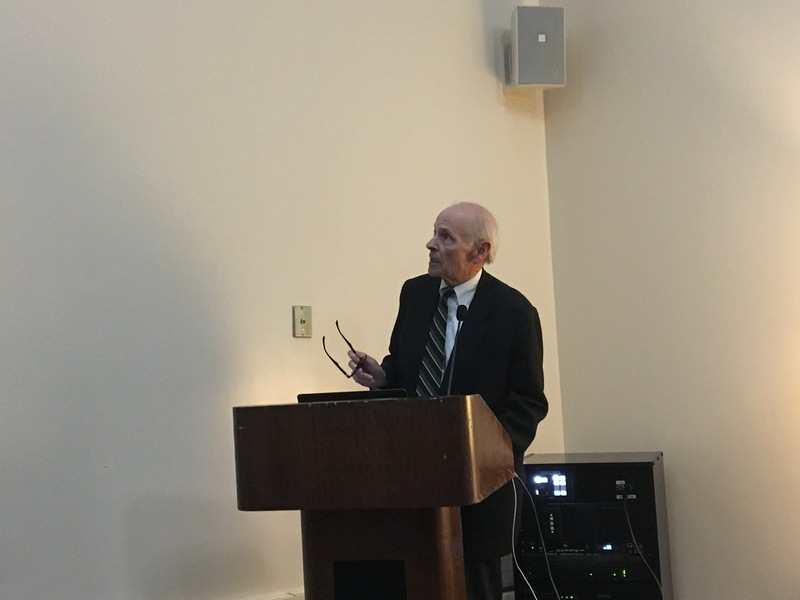 Thank you, Dr. Wilson, for delivering such a stimulating talk and for your wonderful translation! We look forward to your future projects. This entry was posted in Uncategorized on March 29, 2019 by vtomasso. 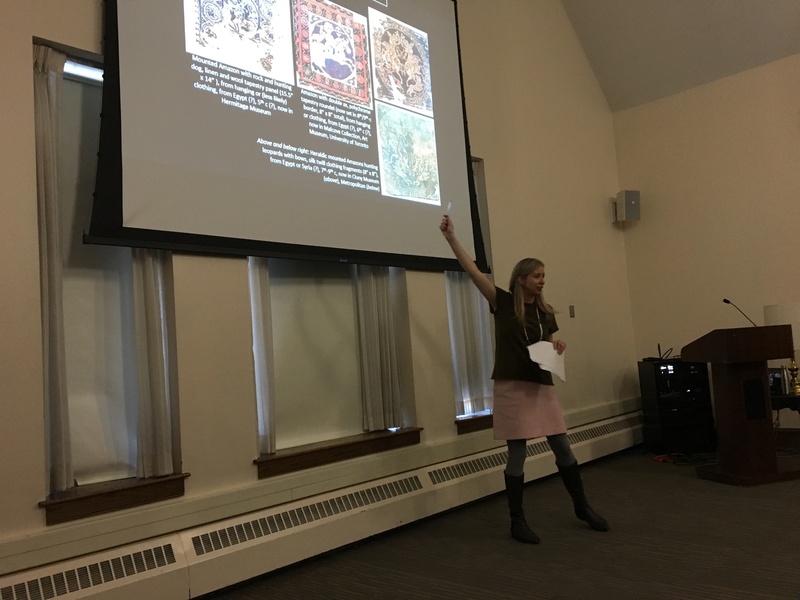 On February 26th, Dr. Hanne Eisenfeld came to Trinity to speak about the fifth-century ancient Greek poet Pindar. 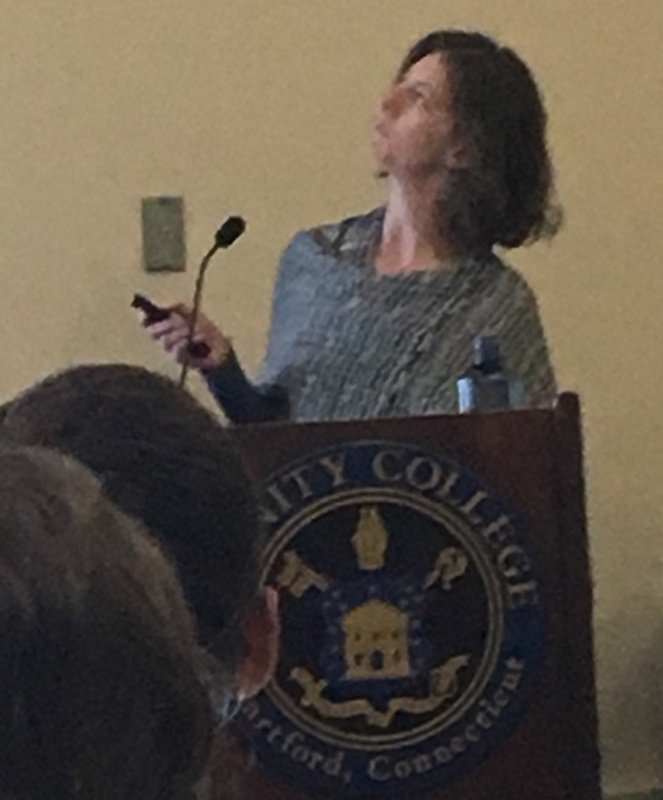 Her presentation comes out of research that she has done for a book project about how Pindar’s poetry allows mortal athletes to straddle the boundary between human and god. 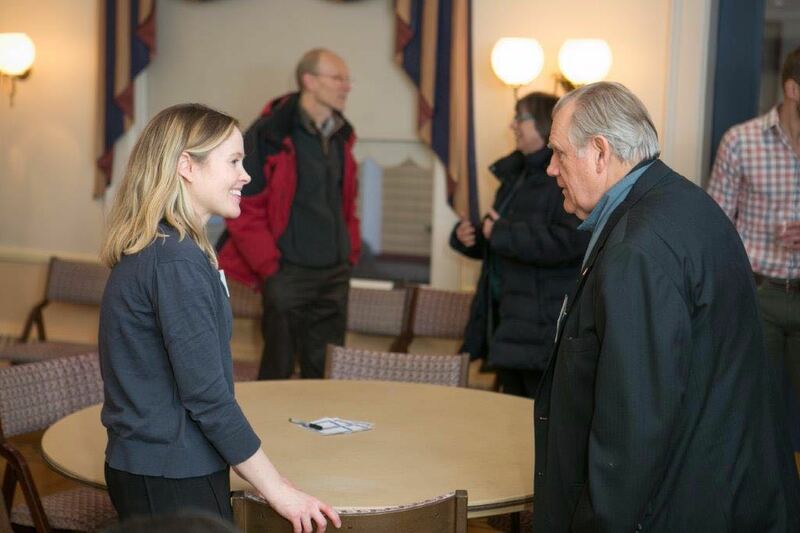 Thank you for visiting and sharing your ideas with us, Dr. Eisenfeld! Dr. Poe on Amazons at Trinity! 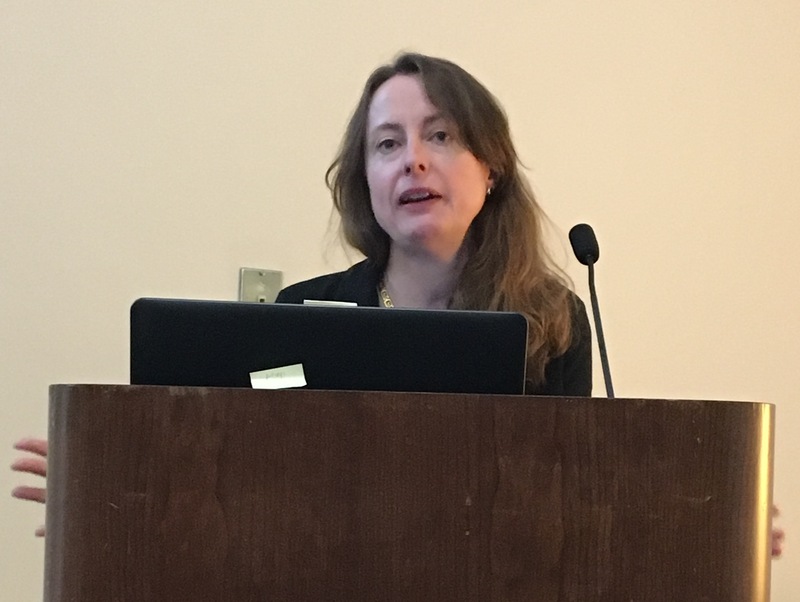 On Tuesday March 12th Dr. Alison Poe of the Art History & Visual Culture department at Fairfield University delivered an AIA lecture at Trinity on the all-female warrior tribe, the Amazons. 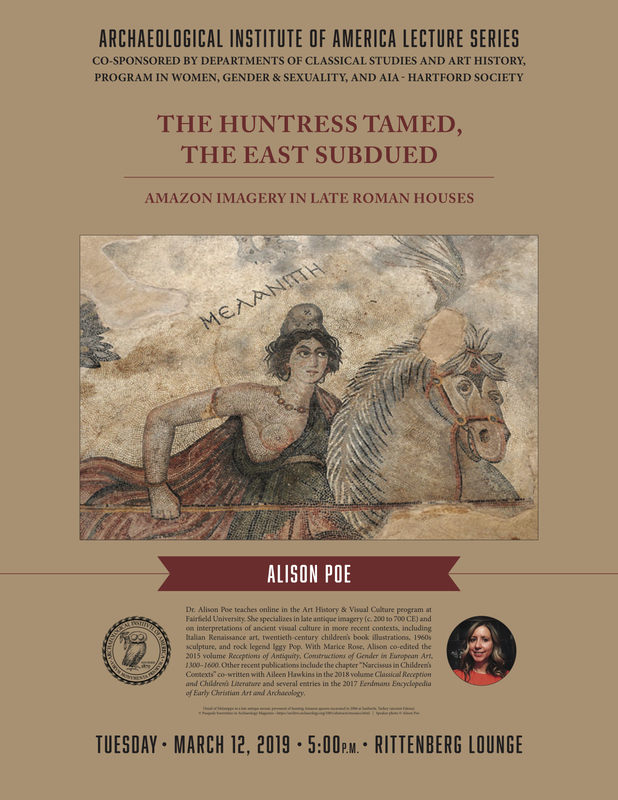 By examining several art objects from the later Roman Empire (primarily from the fifth and sixth centuries CE), she argued that imagery that incorporated Amazons at this time stressed the Amazons’ connection with luxury and exotic locales. This contrasts with their association with savagery and anti-civilization in earlier periods of antiquity. 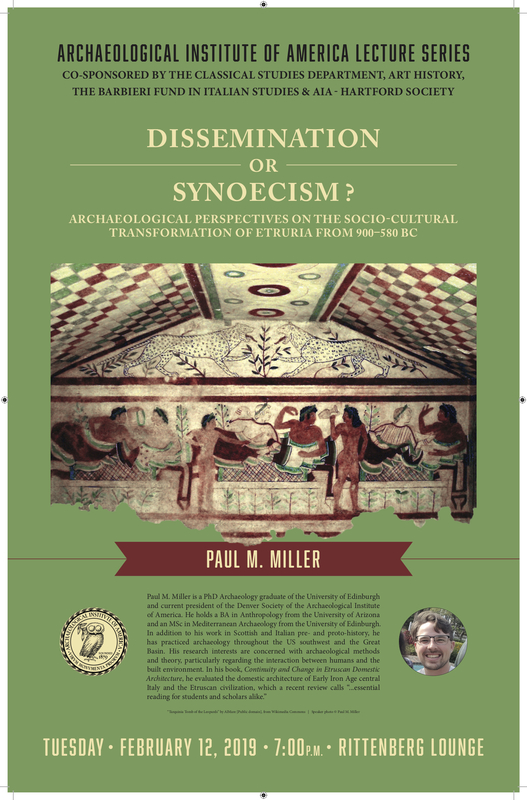 Thank you to the co-sponosors of this event: the AIA-Hartford chapter, the department of Classical Studies, the department of Art History, and the program in Women, Gender, & Sexuality. This entry was posted in Uncategorized on February 25, 2019 by vtomasso. 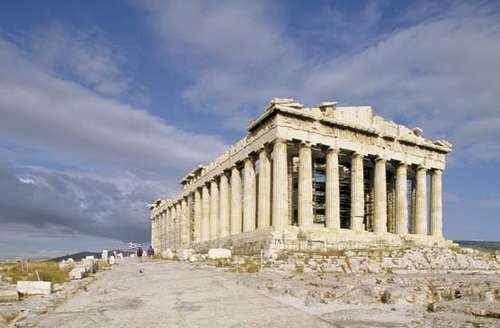 “Democracy: Ancient Athens” at Trinity! 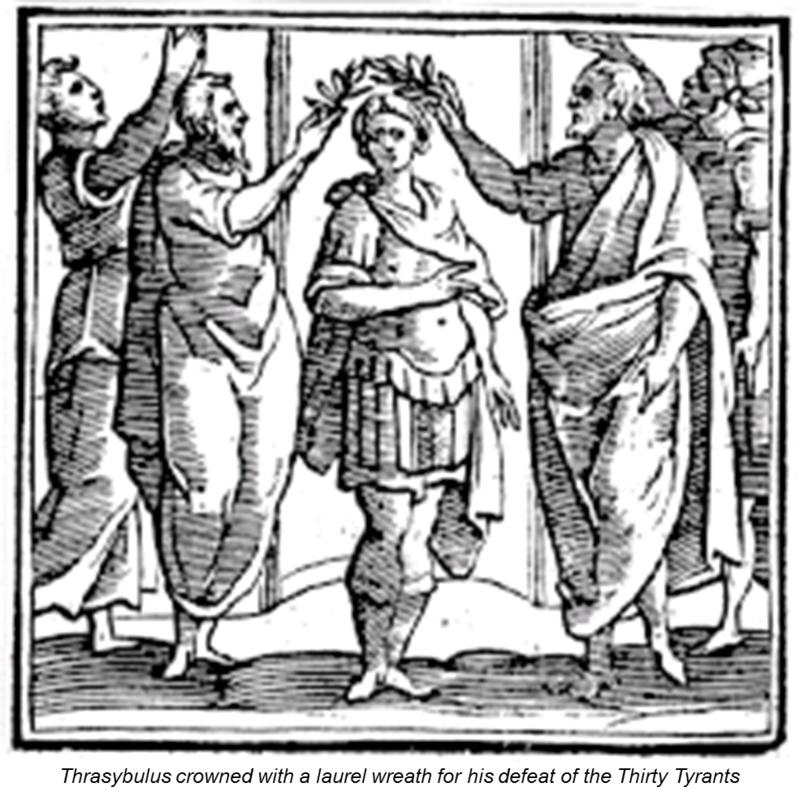 This coming J-Term at Trinity, Prof. Lauren Caldwell will be leading a course that will have students learn about ancient Greek history and politics through a role-playing game! Prof. Caldwell’s class will be re-creating the struggle to decide the political system in ancient Athens at a critical juncture in its history: 403 BCE. In that year, the Peloponnesian War came to a startling conclusion when the Athenians were finally defeated by the Spartans. The city was in chaos, torn by a civil struggle between the government imposed by the victorious Spartans, an oligarchy (ancient Greek: “rule by the few”) called the Thirty Tyrants and a rebel group that wanted the city to be a democracy (ancient Greek: “power of the people”). Students will play a specific role in this historical context and together determine the course of history! Dr. Caldwell’s “Democracy: Ancient Athens” course will meet for eight class sessions (Mondays through Thursdays) from 10:00AM-12:30PM from 1/7/19 through 1/18/19 for 0.5 credits. This entry was posted in Uncategorized on December 23, 2018 by vtomasso. 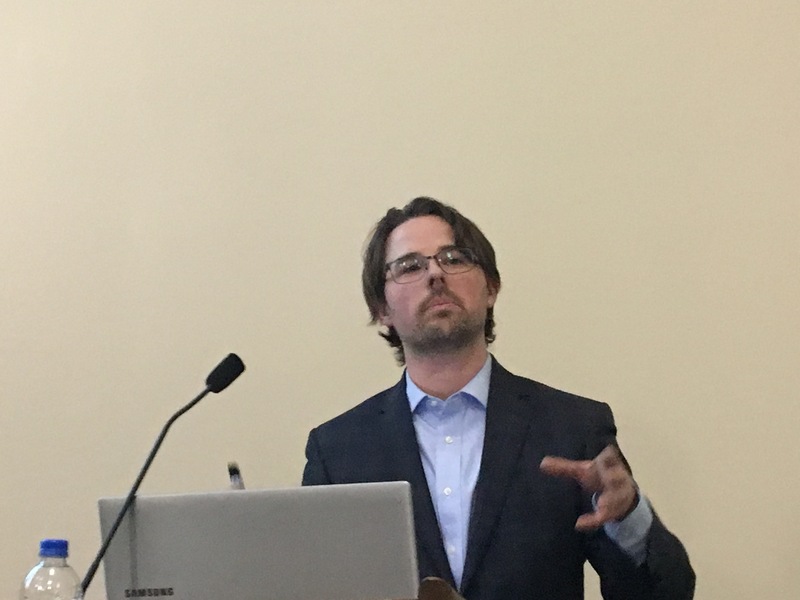 Dr. Jason Pedicone gave a presentation at Trinity on his founding of the Paideia Institute for Humanistic Study, Inc. on September 25 2018. One of the Paideia Institute’s missions is to bring Latin and Greek into secondary schools were those languages are not offered, and Prof. Lauren Caldwell is doing just that. 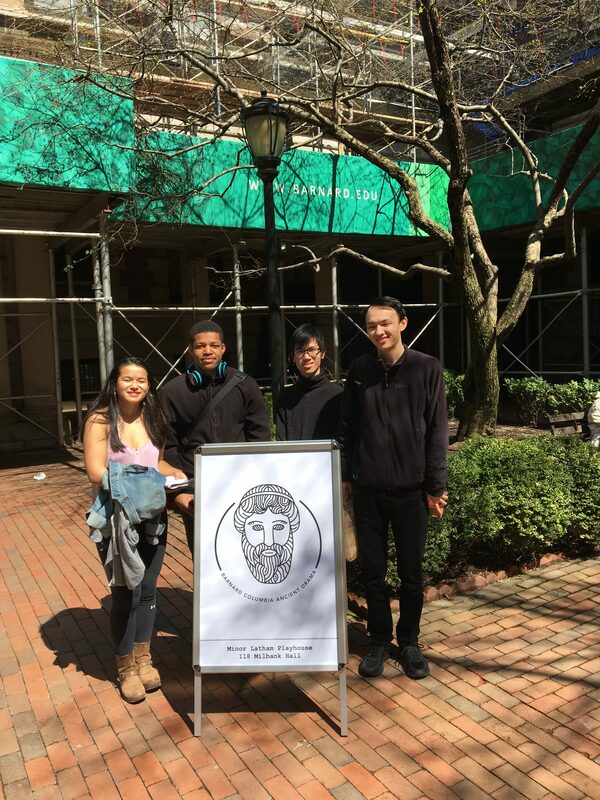 This semester, she spearheaded a program with her Latin students to introduce Latin to the students at the Hartford Magnet Trinity College Academy (HMTCA) school, just steps way from Trinity. 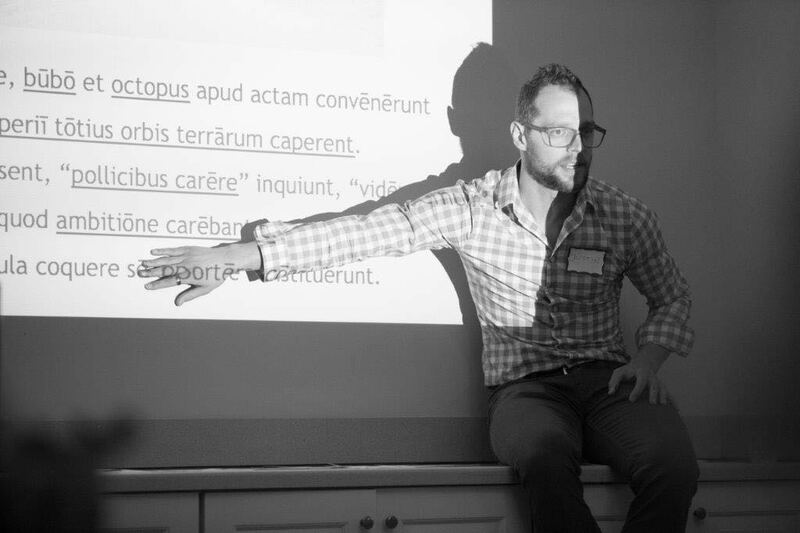 Prof. Caldwell is continuing this effort in the spring semester of 2019.. f you’re interested in being a part of this project and bringing Latin to the students of the HMTCA, you can earn 0.25 academic credit by joining Prof. Caldwell’s LATIN 105 course in spring 2019! Contact Prof. Caldwell for further details. It would be ideal for you to have some background in the Latin language, whether in high school or here at Trinity. This entry was posted in Uncategorized on December 5, 2018 by vtomasso. 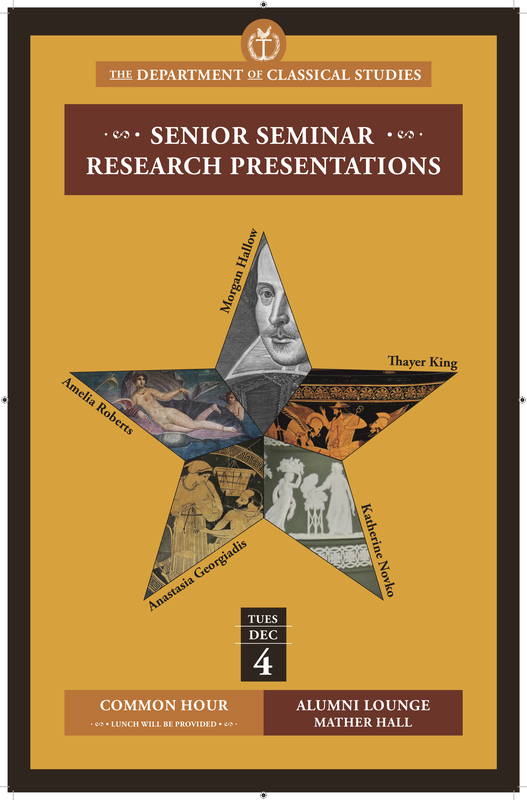 Trinity College’s Classical Studies senior majors presented their final research projects on Tuesday, December 4, 2018. 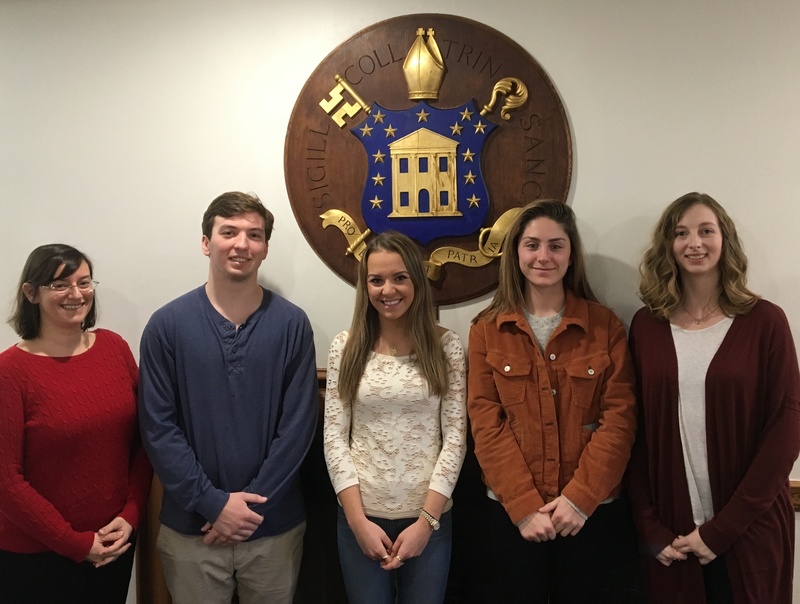 The four seniors did research on these projects for almost six weeks leading up to these presentations and each will write a longer paper that will go into more depth into their respective topics. Amelia Roberts presented on the darker side of the mythology of Aphrodite. 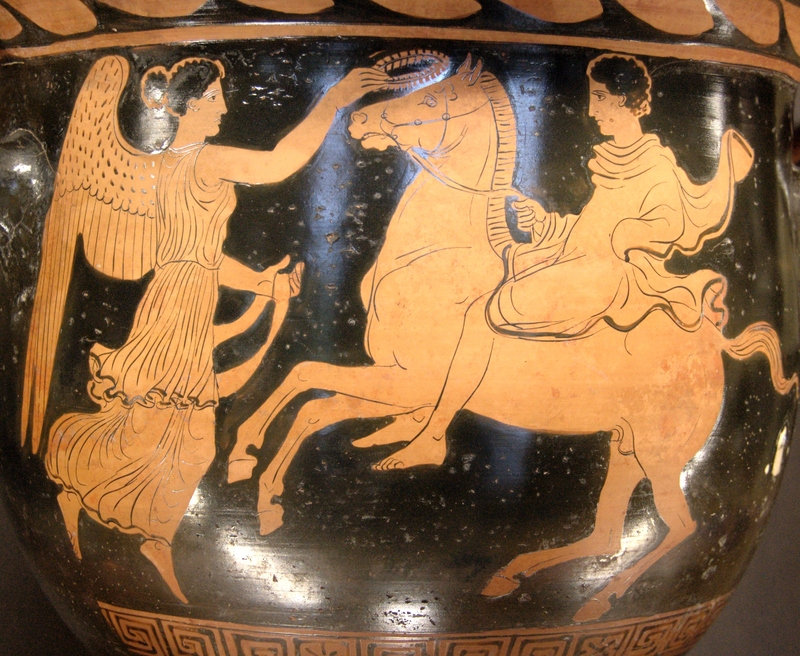 She focused on the Homeric Hymns as well as Hesiod’s creation story from Theogony to show how modern-day conceptions of Aphrodite as simply the “goddess of love” omit the ancient understanding of the goddess as a chaotic, almost primordial, force. 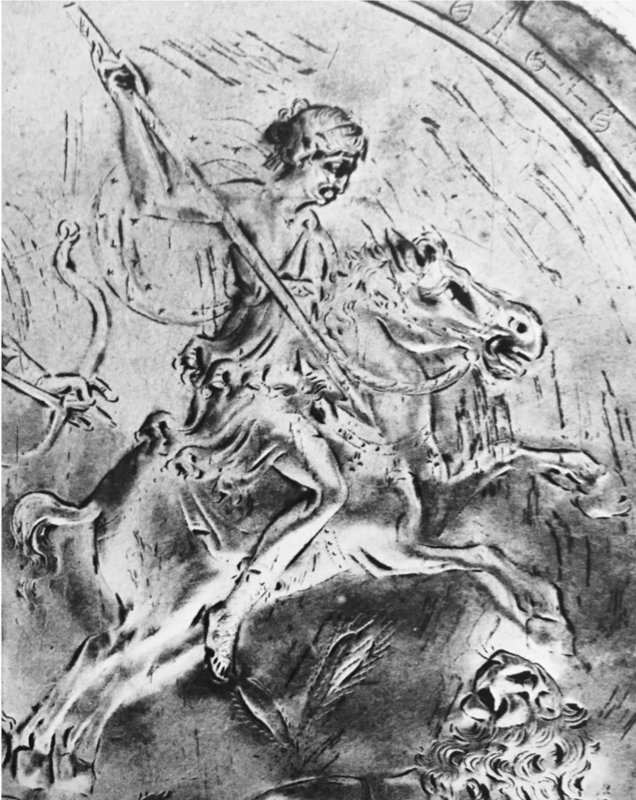 Morgan Hallow discussed references to classical mythology employed in the plays of Shakespeare. 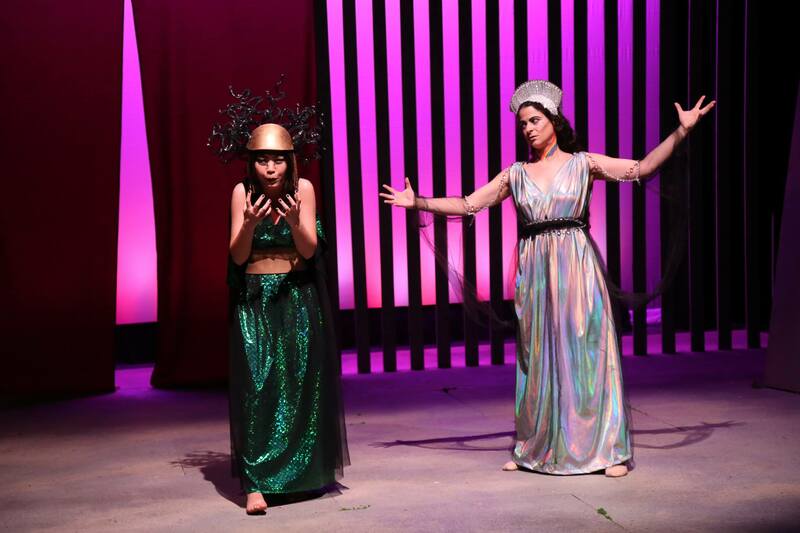 She used an example of a reference from Shakespeare’s As You Like It to show the complex relationship between the characters within the play, their individual understanding of classics, and how use of references to classical mythology becomes a competition of social standing. Katherine Novko shared her interest in the relationship between Wedgwood ceramics and social mobility during the Victorian Era in Great Britain. She explored the similarities between Wedgwood’s designs and those from antiquity, specifically ancient Greece. Ultimately these objects, according to Novko, are used to signify knowledge of the ancient world and would thereby function as a means of signifying class status. Thayer King narrated the movement of the Euphronios Krater from its alleged origin site, to its short stay at the Metropolitan Museum, until its eventual and compulsory return to the rightful owner: Italy. King was also interested in the various international laws concerning the looting of historically significant archeological sites and the impact thereby created in doing so both from an economic viewpoint as well as from a scholarly viewpoint.